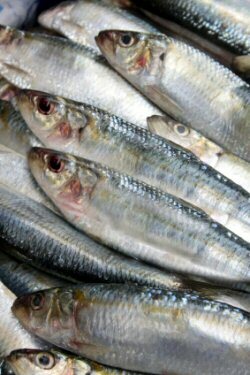 Welcome to SardineRecipes.com - the online home of sardine cookery! Below you will find the titles of the sardine recipes in our collection, simply click the recipe name to be taken to a page with the complete list of ingredients and preparation method. Each page also gives you the option to email a friend, so feel free to spread the word! Broccoli Recipes - Fantastic green veg. French Recipes - The finest food from France. Lobster Recipes - The steak of the sea! Salad Dressing Recipe - A selection of vinaigrettes, creamy dressings and cooked dressings. Sauce Recipes - Add flavor, moisture, and visual appeal to your food. Scallop Recipes - Shellfish popular in both Eastern and Western cooking. Smoked Salmon Recipe - Directions for how to prepare this fish dish. Stuffing Recipes - Options for how to stuff poultry, meat, vegetables and more. Tangerine Recipes - Great uses for this small citrus fruit. Walnut Recipes - Go nuts with these inspiring options.